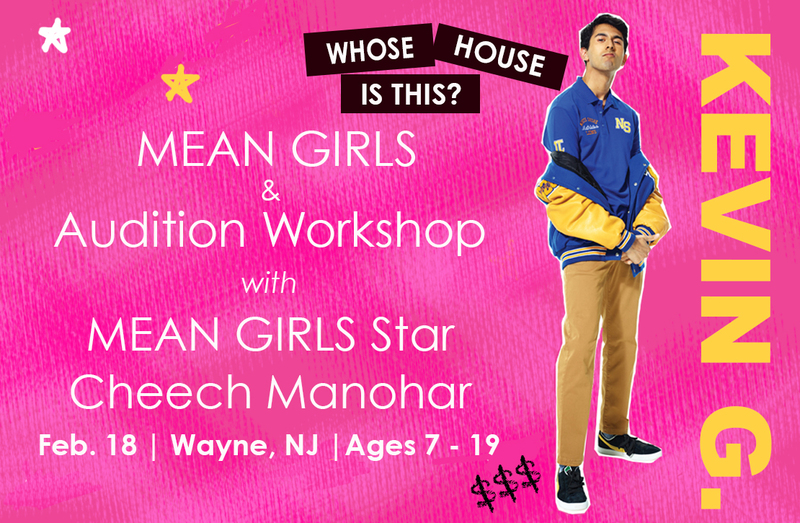 Join star of MEAN GIRLS, Cheech Manohar (Kevin G), for a MEAN GIRLS musical theatre workshop! Participants will learn a MEAN GIRLS song and dance combo with Cheech who will also host a lively Q&A about his experience in Broadway’s newest smash hit! The MEAN GIRLS Star will be signing autographs and taking pics with students, so bring your playbills!